The Fly (1986): This frightening, but extremely moving and romantic horror film stars Jeff Goldblum as an over-ambitious scientist who accidentally merges with a housefly while conducting a bizarre teleporting experiment. A journalist (Geena Davis) who has fallen in love with him while covering his scientific endeavours suddenly finds herself caring for a horrific creature whose insect half gradually begins to take over. The Fly 2: D.. When a scientist (David [Al] Hedison) attempts to transfer matter through space, things go horrifically wrong and two grotesque man-fly hybrids are created. Now, with the head of a fly and a wing in place of one of his arms, the scientist desperately hopes that he, his wife (Patricia Owens) and his brother (Vincent Price) can capture the other mutant and reverse the experiment. Special Features Commentary With Actor David Hedison And F.. 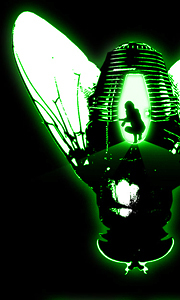 The Fly: A brilliant scientist becomes obsessed with perfecting a device that can transmit matter from one location to another. Successful in his initial tests, he experiments with a human guinea pig - himself. But an ordinary housefly makes the journey with him, and when they emerge, both creatures have been extraordinarily changed. This is the chilling story of a man fighting to retain his humanity, and a desperate woman's attempt to .. The Fly: This frightening, but extremely moving and romantic horror film stars Jeff Goldblum as an over-ambitious scientist who accidentally merges with a housefly while conducting a bizarre teleporting experiment. A journalist (Geena Davis) who has fallen in love with him while covering his scientific endeavours, suddenly finds herself caring for a horrific creature whose insect half gradually begins to take over. The Fly 2: Beneath.. In this chilling remake of the horror classic, Jeff Goldblum stars as an overly ambitious scientist who accidentally merges with a housefly while conducting a bizarre teleporting experiment. Now his journalist girlfriend (Geena Davis) suddenly finds herself caring for a hideous creature whose insect half gradually begins to take over. Special Features Commentary By David Cronenberg, Trivia Track, Fear Of The Flesh: The Making Of The Fl.. Experimental scientist Andre Delambre (David (Al) Hedison] attempts to transfer matter through a space, using himself as the test subject. But things go horrifically wrong when a housefly buzzes into the machine, resulting in two grotesque man-fly hybrids...one of them being Andre! Now, with the head of a fly and a wing in place of one of his arms, Andre desperately hopes that he, his wife Helene (Patricia Owens) and his brother Francoi.. This frightening, but extremely moving and romantic horror film stars Jeff Goldblum as an over-ambitious scientist who accidentally merges with a housefly while conducting a bizarre teleporting experiment. A journalist (Geena Davis) who has fallen in love with him while covering his scientific endeavours, suddenly finds herself caring for a horrific creature whose insect half gradually begins to take over. Special Features Behind The S..